WhatsApp chat app is very popular. Approximately, 30 billion messages are sent via WhatsApp every day. It beats Facebook, Snapchat, Messenger and Viber. Therefore, a chatting app like WhatsApp chat app has a lot of potentials. Research done by GlobalWebindex shows that 75% of internet users are messaging app users. On average, 14 texts are sent by one person in a day via mobile or through an application like the WhatsApp chat app. In 2018, the figure has gone up to an approximate of 40 messages being sent per day by one person and 1.5 billion active users per month approximately. To create an app like WhatsApp you basically need to have a great idea, a development team that is a strong, good and consistent marketing plan. If you come up with innovative ideas to add to the new chat app, it will further the chances of the new app competing in the market. There are some basic features that need to be included when developing a new app. These can be the same as WhatsApp chat app features. However, think of some out of the box features and add them to it, to make the user experience more exciting. With the generation of today and most people being tech-savvy, they would definitely like a more evolved chat app, especially if it has to be a WhatsApp alternative. WhatsApp is essentially a chat service for smartphones that operates via mobile phone data or internet connection. The cost to the user is minimal, as most of the chat apps are free. However, to increase the traffic to the app one needs to incorporate good features so that the app is a success. Using the WhatsApp chat app as a model, the cost of creating a chat app can range approximately from $30,000 to 55,000 and can go up to $120,000 approximately, which will include the following features. It is the main reason for the success of chat apps. You need the internet connection for it to work, however, when you are offline, you will get notifications which can be checked when you go online. This feature includes private and public chats. Group chats will have the ‘mute chat’ feature, stickers, emojis, custom fonts. Messages are sent instantly. Real-time connectivity is very important as messages are sent promptly and so users feel close to each other. GIFS, pictures, videos, stickers, files can be swapped due to this feature. It makes sense to sync with cloud services like Google Drive, Dropbox, Evernote. This feature raises development costs. This feature should be a priority when you try to create a WhatsApp clone. User data should be kept safe from third party infiltration. Encryption technologies should be invested in for protection of messages from third party infiltration. Message alerts, user’s availability online and discount alerts are sent round the clock, and the user can choose how many notifications he/she would like to receive like once in an hour or every 5 hours. This feature helps you to find conversations that have taken place earlier. The quick search option should be easy to find and use as it helps customers find important details in conversations taken a long time back. It is a big help in the professional and personal life of clients. This allows group conversations to happen and multimedia files can also be shared. Users can share content and posts from social media apps like Facebook and Instagram. These are features that have taken communication to another level. Both voices calling and video calls are free except for the cost of the internet. In video calls, you can see the person on the other side and this feature is quite a highlight. It stands for Voice Over Internet Protocol which allows voice transmission and sessions of multimedia over Internet Protocol. If you opt for location sharing it is very helpful. If you take this feature further and develop it, it would help the users to set up meetings and other useful stuff like that. 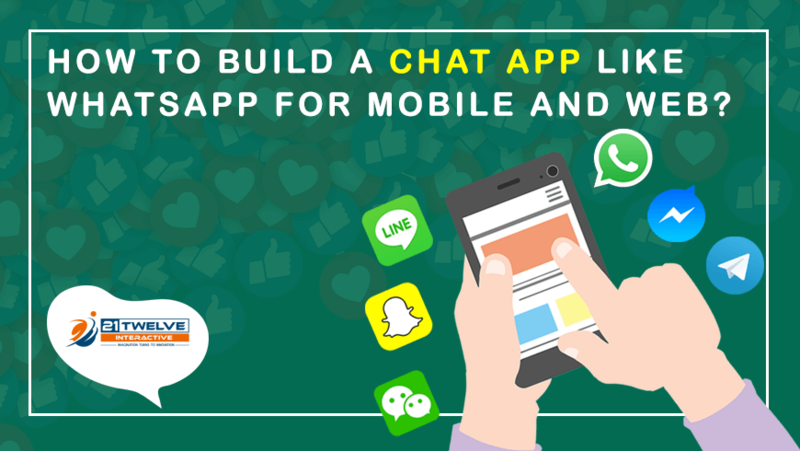 Backend and frontend development, native platforms, quality assurance, web app, the design will be the main areas of development and cost when creating a chat app like WhatsApp chat app. The process of creating a clone like a web WhatsApp may seem complex especially when it comes to selecting a team that is skilled enough to design, develop and maintain the front end of your app. You will need a team that understands your business needs and can envision the future of your app and works keeping both in mind. The app should reach heights which overtakes WhatsApp, the most popular app of today. The success of WhatsApp has caught attention and therefore many people want to create a chat app like WhatsApp. However, the new chat app should be taken a step further and should incorporate features that are innovative, new, exciting, and user-friendly and make life even more simple and easy for the client. A WhatsApp alternative that is created should have features that take the new app even further. An ideal chat app should be able to give resolutions to Business Development communication, Enterprise-level communication, personal chat, and e-commerce. Contus Fly has all the technologies required to make a chat app which is like WhatsApp. It can also add new features to the new chat app. Erlang which is the main programming language. Ejabberd takes care of the message delivery system and incorporates some more, like, privacy setting, account spoofing, one on one chats, storing and forwarding of messages offline, contact actual and presence listing, group chats, Personal Event Protocol i.e. PEP, message typing specification, message archive management. FreeBSD, WhatsApp sends tons of messages every day and so is built on FreeBSD. YAWS which stands for yet another Web Server is written fully in Erlang. YAWS can handle simultaneous processes efficiently and its performance is high. Lighttpd ensures even higher performance. It helps the chat app be compliant, fast, secure, and flexible. PHP, a programming language that follows open source protocol to makes the chat app reliable and perform well. BEAM supports functions like memory management, scheduling, message passing, multi-core, etc. Custom XMPP server reduces byte of keywords. It helps in the exchange of messages in real-time. HTML5 WebSockets establishes a good connection between the server and the web browser. Mnesia DB is a database management system in real-time, written in Erlang. It stores data like files, images, messages, documents, etc. For personal use, a chat app helps you to keep in touch with friends and family all over the world, you stay connected. It can be fun exchanging messages, images, videos. Important messages also can be sent across instantly. You can chat in groups and therefore have separate groups for family, friends, and colleagues. You can manage your online presence and update profile status. You can search for long lost friends and connect with them. For business use, communication can be streamlined in your company, tasks can be given to staff members individually and in groups, you can chat with your clients anywhere, anytime which will help you save time. It will also help save money because voice and video calls can be made for free. Employees can debate or discuss important topics, therefore, improving business and employee relations. Company news and information can be communicated easily which will help the HR department. It will help in keeping things organized, help you keep up with the progress of work, and check if deadlines are being met, even when you are not in the office. Marketing can be done via the chat app. You can connect with clients 24/7, solve their queries and get their feedback quickly and effectively. It is the first chat app that worked on mobiles also. It made SMS free and therefore gained popularity. Its publicity was done by word of mouth; it didn’t need extra advertising as it brought more users by reviews and recommendations. It is available not only on iPhones but also on Blackberry, Android, Windows phone, Blackberry 10, Nokia S40, Nokia Symbian S60, PC, Mac. Its user experience was made pleasant as the users weren’t bombarded with ads. It improved consistently by stating with text messages, then going onto audio and video calls. Then introducing the sharing of messages, group chats, GIFs, and being able to post self-destroying status also. It started small but ambitiously worked on increasing its benefits and increasing its market. Chat apps have changed the face of communication and have become even more popular than social media. It is not surprising that people want to recreate a chat app and make it like the WhatsApp chat app for the mobile app development and the web. In fact, they want to take it further. WhatsApp has set an example; it is a model chat app that throws light on what attracts the modern user.